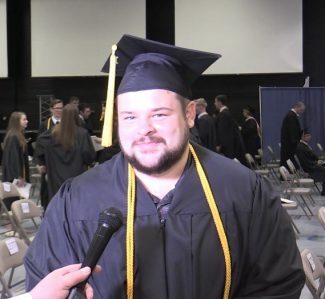 Part of the Newman University mission statement is to “empower graduates to transform society.” According to these graduates, the programs and opportunities provided by Newman do not disappoint in doing so. On Saturday, May 12, friends, family and fellow classmates gathered to celebrate the Newman Commencement ceremony. For the 2017-2018 academic year, a total of 56 associate degrees, 273 bachelor’s degrees and 201 master’s degrees were awarded. 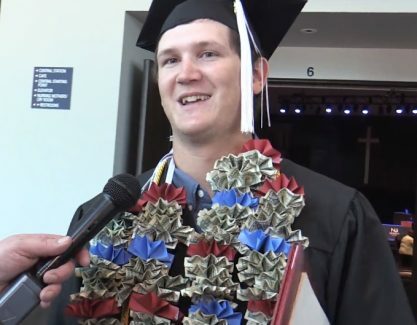 Some smiled, some cried and some kindly shared their reflections on the Newman experience — and what it means to them to finally graduate. Kent describes his experience at Newman as “fantastic. I can’t say it any other way — it was fantastic. After graduation, Kent plans to take a year off and will be applying to pharmacy schools soon after. During his gap year, he will be shadowing to get a better idea as to which route he wants to pursue — nuclear pharmacy or nutritional pharmacy. He also hopes to gain job experience in the pharmacy as a technician, he said. Cochran only took three years to graduate, and it was “kind of an accident,” she said. “My family has had ties to Newman my entire life,” she added. “It’s something I’ve loved, and I’ve spent years thinking, ‘Newman might be my place, it may be where I belong.’ I got here, and I was thrown into sophomore classes — O-Chem (organic chemistry) and microbiology — and I thought, ‘No way in the world am I actually going to make it through this.’ I did, however. My teachers were incredible, they made me love my subject even more and the Newman science department is the best. Cochran is in the process of applying to medical schools. “I’ve been here for four years now, and in those years I’ve had lots of trials and tribulations, some really tough stuff, but also some really high points — and I got to share it all with my roommate of four years (Delaney Hiegert). One of the last conversations Harvey had with Suzanne Berg, Ph.D. , who died unexpectedly in the spring 2018 semester, was that Dr. Berg wanted Harvey to attend graduate school. 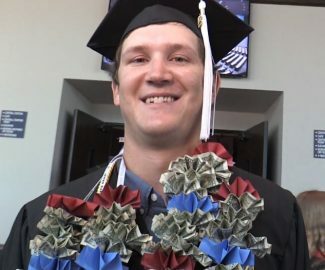 Loutensock sported a unique homemade accessory at graduation — a Salt Lake City tradition for graduates. Loutensock said he loved his experience as a student and baseball player at Newman. After transferring from a junior college, he especially enjoyed the community feel and small classroom sizes at Newman. Buedden is excited to begin her next chapter as a graduate student at the University of Oklahoma Tulsa’s Master in Social Work program — a dream she has had since the beginning of her college career. “I’ve always wanted to be in an area where I could help people, and I really found my calling through shadowing and interning different social workers,” Buedden said. 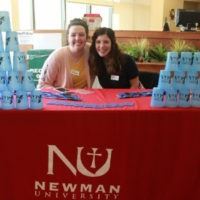 “I think every school has its good and bad, its ups and downs, but I really appreciated Newman for all the opportunities I got, especially with leadership roles and being engaged in so many different things,” she added. “I think sometimes in a bigger university, I would have gotten kind of lost in the shuffle. So I really appreciated that and how personal people were all the time — getting to know professors, administrators, and everyone from every department. I really loved that and I don’t think I would have gotten that elsewhere. 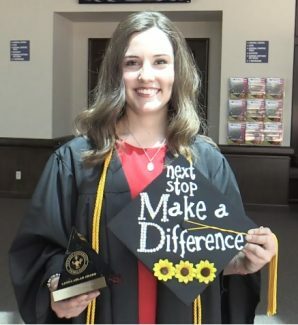 Detmer, who was the 2017-2018 recipient of the Leona J. Ablah Award, said she was completely surprised, yet honored to receive the award. 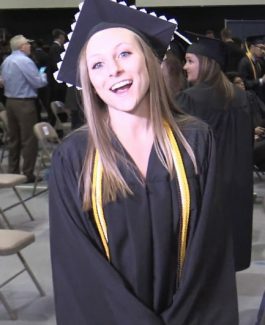 To Detmer, graduation day means that her time at Newman was all worth it, she said. “All the hard work, for the people who got me here, and all the people who believed in me and still believe in me to go on more — it’s all for them,” she said. Detmer officially starts medical school in July. Earning an MBA has been a longtime goal, Murphy said, and Newman University made it possible to achieve. Murphy said he hopes to expand his opportunities beyond his pre-existing skill set. Greene has a 10-year-long history of serving the Hispanic community — both in Wichita and in Gettysburg, Pennsylvania. 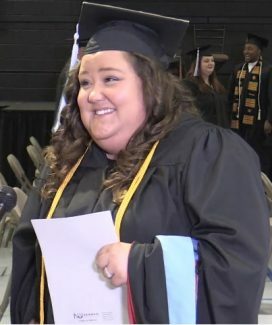 She received her undergraduate degree from Newman and had a very positive experience, so when she was ready to return to school to continue her education she looked to Newman right away, she said. 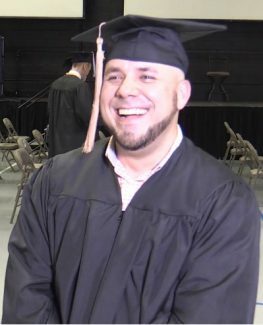 “The graduate experience has been a stressful, but very rewarding ride,” Greene said. “The journey has been so emotional in all senses. It’s been taxing, it’s been tiring, but it has also been paying off in the sense that we are showing that we formed really good relationships with our cohort, our professors have been amazing, they’ve poured so much energy and work into our curriculum, and I just feel like I am very well prepared for the future. 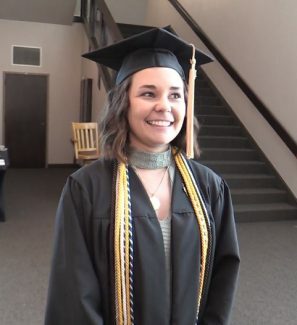 Greene said she looks forward to finding employment as a clinical social worker, where she will then work toward her clinical social work license to eventually become a mental health therapist. Torres said he went into the graduate program with no expectations. 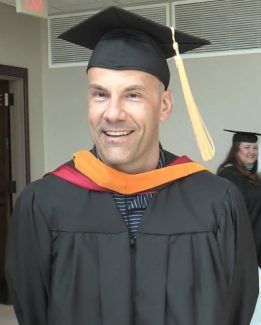 “I started my master’s so that I could wrestle and finish my career there, but I learned a lot about the business world, about how corporations work, how they are run, the financials, and prior to that I had no idea,” he said. 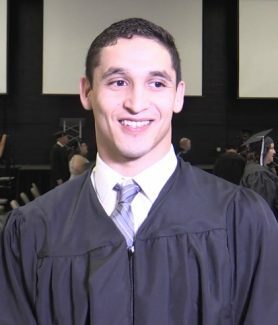 After being hired as an IT intern at Koch Industries two years ago, Torres was offered a full-time position last summer. He plans to continue working for Koch while incorporating his new knowledge of business into the workplace, he said. “We’ll see where it takes me,” he added. Newcomer describes the graduate program as being very demanding, and “requiring 100 percent of your time and effort. “I think that if you give that to the program, it gives it back to you,” he added. “I was very happy with the amount of effort it demanded and the amount of ability it gave me. Newcomer was a registered nurse for many years, he said. Before he started the anesthesia program, he was commissioned into the Air Force. 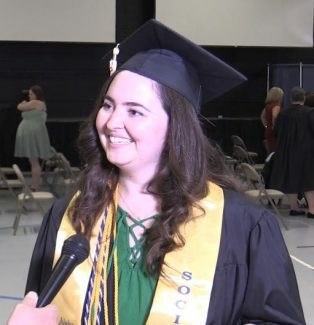 Weimer, a member of the Coffeeville cohort, said she is excited to have earned her master’s degree in ESOL, or English for speakers of other languages. Weimer said she is extremely grateful to her parents for pushing her to continue during her undergraduate and eventually graduate education. No matter the major, concentration, background or walk of life, graduates of Newman consistently recall the convenience of small classroom sizes, one-on-one assistance from professors and the various strong relationships that are built with professors and peers throughout their time at Newman. Commencement marks the celebration of each and every student’s journey as a college student — the collection of struggles and achievements, defining moments and personal experiences to be carried on with them to their next step. 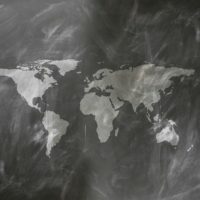 The Newman experience is what the students and faculty put into it, and the results often lead to direct job opportunities or even the option to continue one’s education. Graduates are equipped with the coursework, skills and experience needed to leave the university world feeling prepared, and in doing so they empower themselves and one another and continuously transform society. It was great reading all of the comments, but especially nice to see Suzanne Berg, Ph.D. mentioned. She had such an impact on so many. She is missed.